In the shadow of ruin … comes a glimmer of hope. One day a traveler from the north enters Selanna, the capital of the nation of Merivalka. Before long, this mysterious man known as Joël, who repairs broken and disfigured items, befriends some and contends with others, patiently teaching and exhorting citizens to embrace the mercy of Lord Creator. His message appears too good to be true for the proud yet subjugated Merivalkans. As Joël exhibits grace and truth, his followers cling to him and his enemies seek to destroy him at all costs. With authority and humility, Joël faces his adversaries all the way to a tragic end … but will grief or grace have the final word? 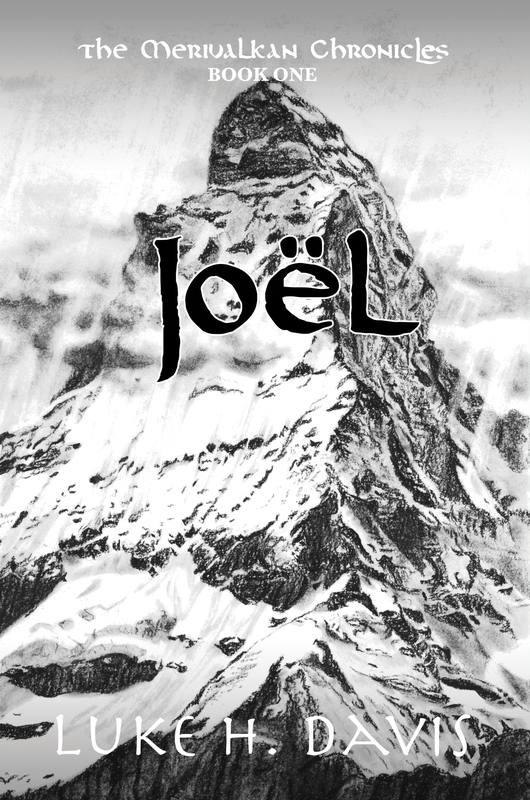 Discover a glorious story of redemption and hope in Joël, the first volume in the Merivalkan Chronicles! LUKE HERRON DAVIS is the author of Joël, the first volume of the Merivalkan Chronicles trilogy. He presently serves as the chairman of the Bible department at Westminster Christian Academy in St. Louis. A teaching veteran of nearly twenty years, he has also penned several crime fiction volumes in the Cameron Ballack Mystery series. Luke lives in Saint Charles, Missouri, with his wife Christy, son Joshua, daughter Lindsay, and their retriever Gretel.